Could Our Obscure County Election Change the Planet? This post linked to a National Journal article which pointed out that our upcoming County Council election could be crucial to the decision that ultimately decides whether the Gateway Pacific Terminal (aka “the coal port”) gets built or not. And Why You Should Care About the Growth Management Act if You Live In Whatcom County discussed another reason to pay attention to the County Council election – because poor land use planning is eroding our ability to be resilient, and because we are currently out of compliance with state law, which is costing us $$$. I’m also using this series of posts to promote the Candidate Forum on Growth and the Environment (Aug. 1, 5pm at Bellingham High School), hosted by RE Sources for Sustainable Communities and Futurewise Whatcom (and numerous other local orgs participating in the info fair before the forum, including Transition Whatcom). I’m hoping these posts will prepare you to participate more fully and get more out of this forum. Today’s post, and the one following has the goal of getting you to take some time to read some of the excellent columns over at Cascadia Weekly – specifically Tim Johnson’s column, The Gristle. We’re continuing to consider the Growth Management Act (GMA), and specifically looking at the idea of zoning. Zone planning means placing elements according to how much we use them or how often we need to service them. Areas that must be visited every day (e.g. the glasshouse, chicken pen, garden) are located nearby, while places visited less frequently (orchard, grazing areas, woodlot) are located further away. Zoning we might define as the art and science of placing things a community needs in places neighborhoods don’t want, balancing the unpleasant against utility. Zoning provides predictability in land use (when developers rage about the need for predictability, they are almost always seeking a change to existing zoning) and serves to protect certain land uses from the encroachment and conversion by competitive, incompatible uses. Frankly, few things are more unpleasant than a slaughterhouse, animal butchering on an industrial scale, in terms of odors, noises and biohazard wastes produced. And few things require protection from encroachment and conversion more than Whatcom’s dwindling supply of ag land. Spot zoning, placing things piecemeal where they encounter paths of least resistance, is an abdication of police powers; a blanket upzone, such as council is contemplating, represents a diametric abdication of their responsibility to carefully weigh and balance competing concerns. The abdication simply permits a use without deeply contemplating the potential impacts of that use. It turns out that two of the folks from the Planning Commission who are closely tied to this proposal (Ben Elenbaas and Michele Luke) are now running for Council seats, which is just one reason this has become an election year issue. The odd thing is, there seems to be broad “bi-partisan” support for the idea of one or two appropriately sized slaughterhouses that could be sited on, as Johnson puts it, “otherwise unproductive ag land.” We could all get behind the idea of local processing for local farmers providing local food. There’s lots of room for compromise, but unfortunately it seems that all of the proposals considered by the Council thus far seem to be widely missing the mark of reasonableness. Admittedly, the strident tone of some that have been speaking in opposition has not always been helpful. The chasm is analogous to asking for a small glass of water and being instead knocked down by a battalion of firehoses; and the fact that significant numbers on council evidently cannot perceive the scale and scope of the chasm suggests something deeply troubling about Whatcom County Council. The Gristle’s advice to County Council is simply this: Since this mess was created by the planning commission, and two planning commissioners (Elenbaas and commission chair Michelle Luke) are running for election to County Council, why not put off this decision until November? The election itself should serve as a unique public referendum on what is being proposed. In a more recent column last week (The Gristle: Red Meat), Johnson updates his Slaughterhouse discussion. More than anything, the ordinance in front of council fails to do what the council has everywhere failed to do, which is plan for and encourage development in areas best suited for that development, whether that planning considers ag and water resources, energy and transportation resources, or urban resources. In approving slaughterhouses everywhere throughout the Ag zone, council plans for them nowhere, in an abdication of the very purpose and definition of zoning, which is—textbook—to prevent the impacts of new development from interfering with existing residents or businesses and to preserve the “character” of a community. And few things are as “impactful” as slaughterhouses. The abdication is deliberate. Again, worth reading in its entirety. The Gristle concludes with important context – how are the current council’s actions impacting farmers and farmland? All this is of course done as a gesture to the agricultural community, to demonstrate county support for farmers. The idea that the hundred hours council has wasted arguing about slaughterhouses is their best gesture to the farming community is both laughable and sad at the same time, hours that have not been spent trying to quantify and clarify water availability for agricultural use or trying to lift state orders of invalidity that paralyze large sections of the rural county until they’re resolved. It’s instructive to trawl the work sessions of neighboring agricultural counties—view the painstaking hours spent to preserve farmland for farmers, to reduce the regulatory burdens of farming endeavors, encouraging land use practices that improve crop yield and profitability—and realize that Whatcom County spends most of its time mucking around with the Last Harvest, trying to figure out shortcuts so ruined farmers can parachute out of the business, trading one way of life for another—screwing around with parcel reconfigurations so farmers can get the hell out that way; or proposing new business models or uses in the Ag zone so farmers can get the hell out that way; on and on. It is truly sad; and it is without end, until the last farm is shuttered. Or this council majority is defeated. At this point you may be wondering about the significance of the title of this week’s post. Zone 9 from Outer Space? I was trying to come up with a clever title related to zoning when that title popped right out of Angela’s mouth. 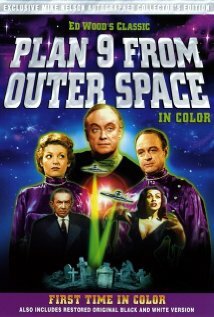 The reference is, of course, to the notable ‘worst movie of all time,’ Plan 9 From Outer Space. 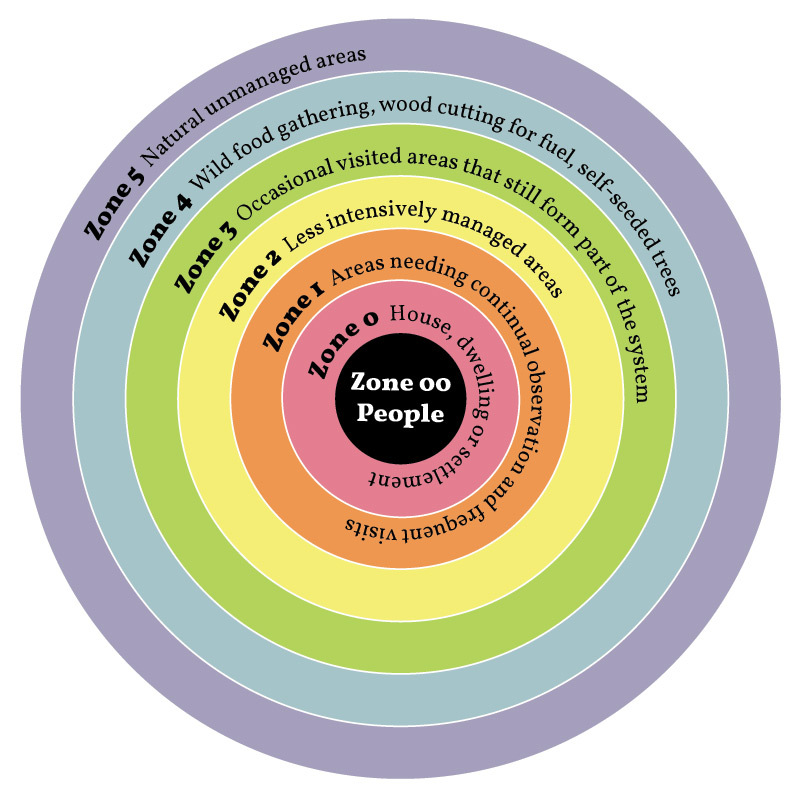 In Permaculture, the furthest out zone is Zone 5, referencing The Wild Zone. Zone 9 is even further out, I imagine. It is so hard to make sense of the current zoning practices in our county, it seems they could only have come from outer space. We are all interested in the future, for that is where you and I are going to spend the rest of our lives. And remember my friend, future events such as these will affect you in the future. I know, it sounds like a subject best left to professional planners, politicians, and policy wonks. But it turns out to be a really important piece that is shaping the character and landscape of Whatcom County. Perhaps more importantly it plays a role in our ability to become more resilient by preserving fertile farmland for the purpose of feeding our community with locally grown food. You can expect that County compliance with the GMA will be a big topic at the upcoming Growth and Environment Election Forum mentioned in the previous post (Aug. 1st). So it’s a good idea to get up to speed on the topic before the forum. I’m not an expert by any means on this topic, so I’m mostly going to be referring to other articles and blog posts. A great way to ease into this topic is Riley Sweeney’s blog post, “Why is the County Breaking the Law?” Riley shares an admittedly over-simplified analogy of a school child refusing to turn in his or her homework. The idea was that if you made the counties do their homework, they would avoid sprawling strip malls and giant condos next to what should have been rural areas. Unplanned growth leads to expensive infrastructure adjustments by the county. For various reasons, the County has adopted plans that various Hearings Boards and courts have found to be invalid, and the County has continued to resist the findings by spending our taxpayer money ($50,000 per year – they just decided to re-up for another $40,000) on litigation…and they continue to lose. 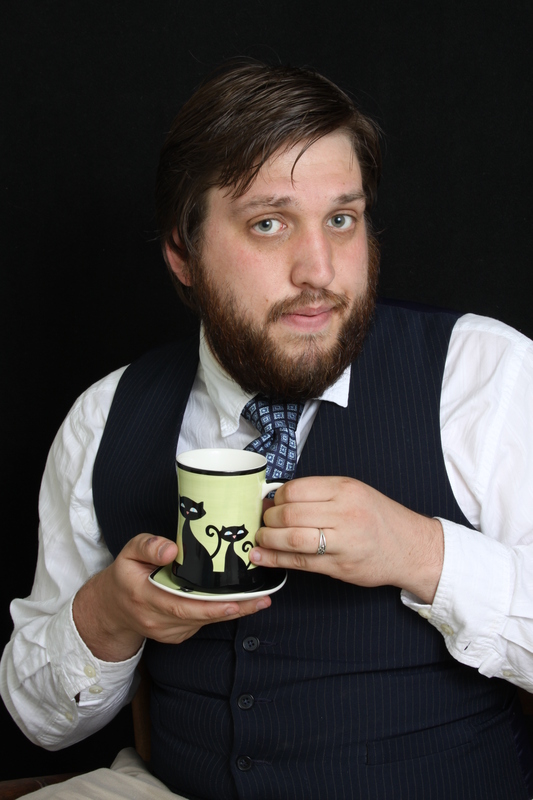 I’ll have more articles to share next time, but until then you should pop over to the Sweeney Politics blog and take a few minutes to read that aforementioned post. It’s actually an entertaining read. Could Our Obscure Whatcom County Council Election Change the Planet? A couple of months ago there was a piece in the National Journal that put a spotlight on our humble county, and caught some local attention: The Obscure County Election That Could Change the Planet by Carol Davenport. The tagline says “A little watched race in Washington State will determine how America uses its coal – and the future of the global climate.” (in addition to the article, you can watch an interview NBC did with the author). The issue of concern is the proposed Gateway Pacific Terminal, a $600 million project that, if approved, is projected to ship 48 million tons of coal annually to Asia, which would make it the largest coal export terminal in North America. This is said to be enough fuel to power 15 to 20 new coal fired plants a year – taking us in exactly the opposite direction in which we need to go. With carbon dioxide levels in the atmosphere now reaching past 400 parts per million – the highest levels ever recorded in history – many of us believe it is a very high priority to do all we can to discourage the burning of coal anywhere and everywhere. 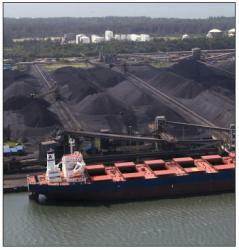 The Richards Bay Coal Terminal, the largest coal export terminal in Africa exports 66 million tons annually. Over the next two years, the seven-member board will play an outsized role in Gateway’s fate, voting on two crucial siting permits which, if approved, will pave the way for the terminal’s construction. If the council rejects the permits, it could freeze the project for years, if not permanently. This November, voters will determine the makeup of the council that will make those crucial permit decisions, electing four of the seven members. Hence, this year’s election is extremely important. And there’s big potential for special interests to have a large influence. Apparently the world’s largest public relations lobbying firm has already been hired to help promote the project. The problem is that the candidates are not allowed to directly address the issue with their opinion, lest they jeapardize their role in being able to participate in the decision. It is set up as a “quasi-judicial” system, requiring the council to remain neutral and base their decision only on the “facts” that are presented to the council at a future date. So what is a voter to do? For one, you want to consider the candidates who believe in climate change, and who acknowledge that human activity is the cause for much of the warming we’re seeing today. Two, examine how the candidates relate to other sustainability related or resilience related issues. What are their positions on protecting the Lake Whatcom watershed, or handling the GMA related issues, or the slaughterhouse regulations? The GMA? Growth Management Act. This is huge, and has been a thorn in Whatcom County’s side for more than a decade. More about that next time. How can you learn more about where the candidates stand on these issues? 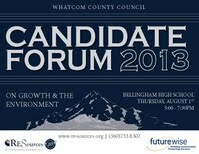 Attend the Candidate Forum on Growth and the Environment, Thursday Aug. 1, 2013, at Bellingham High School, from 5 to 7:30pm. Attend the Growth and Environment forum to hear comments and opinions from Whatcom County Council candidates regarding important growth, land use and environmental issues facing Whatcom County. By answering a series of questions from forum moderators with audience input on topic selection, candidates will discuss pivotal issues in the upcoming elections, such as new industrial development, growth management, the proposed jail, Lake Whatcom, Critical Areas protection and shoreline protection. We have invited every candidate to attend and represent his or her views, and are hopeful for full participation from all eight candidates. Out of respect for the quasi-judicial role that council members inhabit during major project land use permit evaluation, moderators will not ask direct questions related to support of or opposition to Gateway Pacific Terminal or other similar projects. Also, please join us from 5:00 to 5:30pm for a pre-forum information fair. Representatives from local organizations working on county-wide (including Bellingham) issues will be available to answer your questions (stop by the Transition Whatcom table). In 2007 I read Anodea Judith‘s Waking The Global Heart with great interest. I found it a wonderful parallel to David Korten‘s The Great Turning, but with more emphasis on the feminine, the spiritual, and the mythological aspects. An excellent book that should have received as much attention as Korten’s. That’s why I’m so personally excited today by the launch of a new edition: The Global Heart Awakens, published by the Shift network. What follows is a press release. Do check it out. Every once in a long while, a book comes along that activates a power that is far greater than words on a page. It gives voice to our moment in history and fuels a movement. Today is the launch of The Global Heart Awakens, with a special campaign TODAY only (7/16/2013). Hundreds of thought leaders are offering empowering gifts to turn it into a bestseller and give it the wide readership it deserves. Like no other book this year, it speaks into the heart of our times: our history, our current crises and the incredible opportunity to ignite a shift to a new operating system based on love. We have no time to waste in mobilizing ourselves to address our planetary problems and begin creating the world we all know is possible. None of us can do it alone. In fact, the new era will only emerge from massive efforts at cooperation and collaboration both locally and globally – all based on the power of love. Have you truly opened your heart and transformed your life in preparation for the vast changes ahead? Do you really understand the big picture Shift and how to connect it with the thousands of little shifts in your life? The Global Heart Awakens, by international bestselling author Anodea Judith (who has sold more than a million previous books and DVDs), gives us all a profound map for participating in this great awakening. Step by step, Anodea shows us how to become a love-powered evolutionary in service to a new era of compassion, justice, and abundance. In the process, you will learn why becoming part of this vast movement provides deep and lasting fulfillment in your life. So please join me today in purchasing your copy during the global launch of The Global Heart Awakens and you’ll receive powerful e-gifts from wayshowers such as Barbara Marx Hubbard, Andrew Harvey, James O’Dea, Lion Goodman and many others. Let’s unite the forces of change who are building a sustainable global civilization and propel this book into the vast readership it deserves! The Global Heart Awakens puts forth a bold prophetic vision – indeed, a new myth for our time. Digging into the distant past, and ranging far ahead into our promising future, bestselling author Anodea Judith explains how and why we are undergoing a profound global initiation. This collective rite of passage, she shows, will unravel our world system based on the love of power and deliver us to one based on the power of love. Click here, TODAY ONLY to GET YOUR GIFTS NOW! And so we tried to see the water not as a “problem” to be exported, but rather as a resource. Brian has taught that it’s more a matter of working with the resource in a way that maximizes it’s many attributes through gently shaping it’s expressions in the land. At the same time I’ve learned about more than just the water in our property. We looked at all the relationships between the water and the other aspects of the land-life. Water carries nutrients. To divert or shunt it off the land quickly we would lose out on the nutrients it carries. Making swales in a more winding path through the property slows it down and retains more of the nutrients, distributing them through the soil-life-web and to the plants. The swales spread and sink the water as it moves through the land. We have intensely compacted clay soil here just under the top soil. In breaking up some of that clay and creating sink holes and hugelkultur, we help the water sink below the topsoil thus giving better drainage for the growing beds. At the same time that water is then stored in the spongy hugelkultur and sinkholes (dry wells) to be reabsorbed by the beds above when there is less precipitation (summer). This is also the place where we can discuss the fact that we rented a fossil-fuel powered excavator to dig our swales. It took just a few hours and 3.4 gallons of diesel fuel to carve out the swale ditch and move the soil. How much time and energy would it have taken to do all of this work by hand? We considered this an appropriate use of available technology. In general, the best use for non-renewable resources and technology should be to establish a system, rather than to maintain or harvest it. We’ve learned about the elevation changes in our landscape and the soil compositions in the area we worked. It’s so interesting to see the color and texture changes as the ditch for the swales was excavated. It made a lot more sense why the top soil was so soggy for much of the year. The water would sink down through the top soil and hit that compacted clay and would just sit there being held in the topsoil unable to sink deeper. Or it would just slowly sheet over the clay layer, through the top soil and eventually go to the low point (becoming a pond in the really wet season). Having access to a topographical map of the elevation contour lines on our property, as well as the adjacent properties, allowed us to see where water comes from in addition to the direct rain water from above our land. Where the elevation is higher next door, we could assume that we “inherit” some of the neighbors’ water. 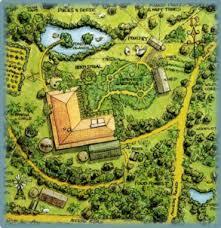 We took this into account when determining where to put the swales and the hugelkultur. Curves. Almost all swales are curving in shape, because they follow the curving contours of the earth. To me curves are more interesting, energizing and beautiful than straight lines. Though this might seem like a trivial feature, it is super important to my soul. Since I started changing our straight lined boxed beds to curving raised beds I’ve felt a surge of energy and a change in my mood. This gives me lots more motivation to get out there and work (play), in the garden. Swales create more edges. There is more diversity of life on all levels at the edges, where one aspect meets and relates to a different aspect. Swales increase relationships between organisms, land and plants. Swales would be an excellent system in a dryer climate where you want to maximize the water if it is scarce. Living here in the northwest where water is abundant, you might think swales would not be so useful. Some of the points outlined above show that there are many ways that swales can be of benefit in any climate (And remember last summer in this area? The 3 to 4 months in a row with no rain!!). Whether too wet, or too dry, the idea is to slow and to catch, to sink and to spread the water that does come, to maximize the productive use of the water that does come. Versatility. The concept of swale systems is applicable to any size plot of land. From many acres to the smallest urban yard. A discussion about succession planting was an important part of our workshop. At first when Brian suggested that the berm part of the swales be planted in perennials – especially nitrogen fixers, trees and bushes – Angela was afraid that would take up too much of the space she envisioned for annual food plants and that they might cast shade on where the annual beds would be. But over time, listening to Brian explain, she began to understand the idea of succession planting and to think in terms of a series of stages using different plantings that protect and build the soil…. That we can plant things with the intention and expectation that they will serve a purpose and then be removed later to be replaced by other types of planting. This is how natural systems develop, and we can speed up and improve our systems by intentionally and intelligently using this strategy. Intimacy with and affection for the land. This might be the most cherished outcome of this project of swale making. Through every aspect of this project we’ve gotten to know our land in ways that make it come alive for us. Intimacy comes through working with it, struggling over it, being confused by the problems that crop up, physically toiling over it. Asking for outside help from others and engaging in community-building through the construction process….Touching, smelling and breathing the soil life. Imagining our future together…Making something of beauty with it….All the ways that you develop an intimate connection with someone or something, have been happening with the land in this swale making project. We plan to keep a photo journal of the swale system here through the seasons and over the coming years. 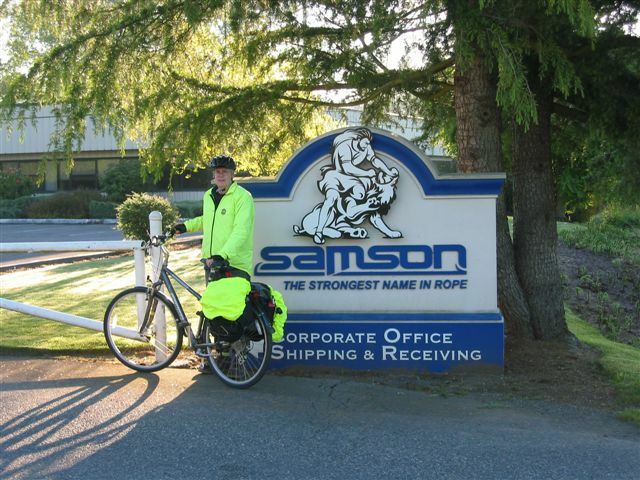 We’ll post updates on Transition Whatcom occasionally. 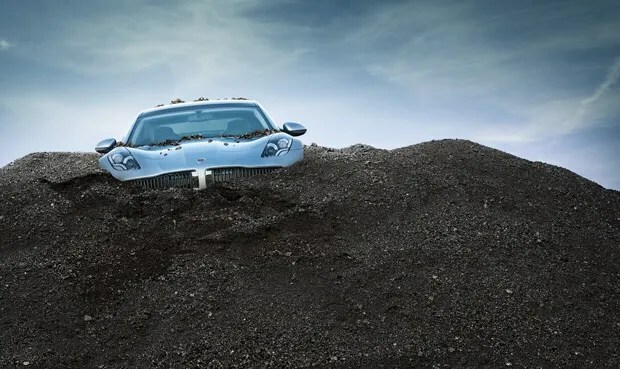 Unclean at Any Speed – This is an important article by Ozzie Zehner, a former electric vehicle enthusiast who can no longer count himself in those ranks, as he now believes that electric vehicles trades one set of environmental problems for another. The alternatives? Zehner notes the large subsidies provided to the electric vehicle industry. Think about where else that money might be used to have real impacts. These intermediate technologies have been far more effective in achieving economic, social and environmental benefits than conventional development technology pushed by corporations and most government aid. Rather than pouring money into an electric car (which we can’t afford anyway), my wife and I discussed for a while the idea of becoming a single car household. 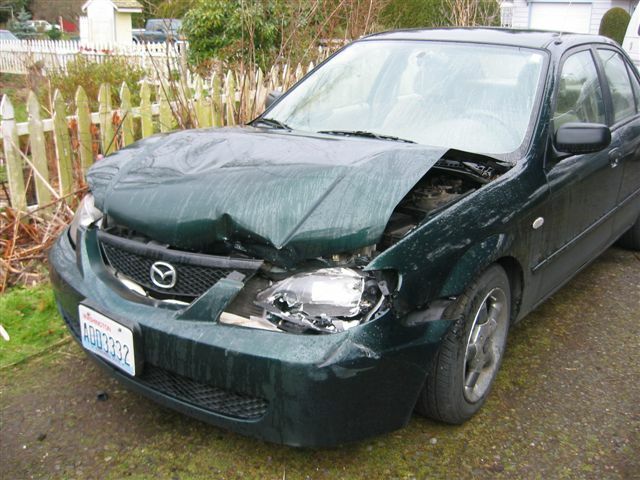 When our Mazda was totaled (while parked in a driveway – no one was injured), the problem became the solution and we put the insurance money in our bank account rather than into a new vehicle. 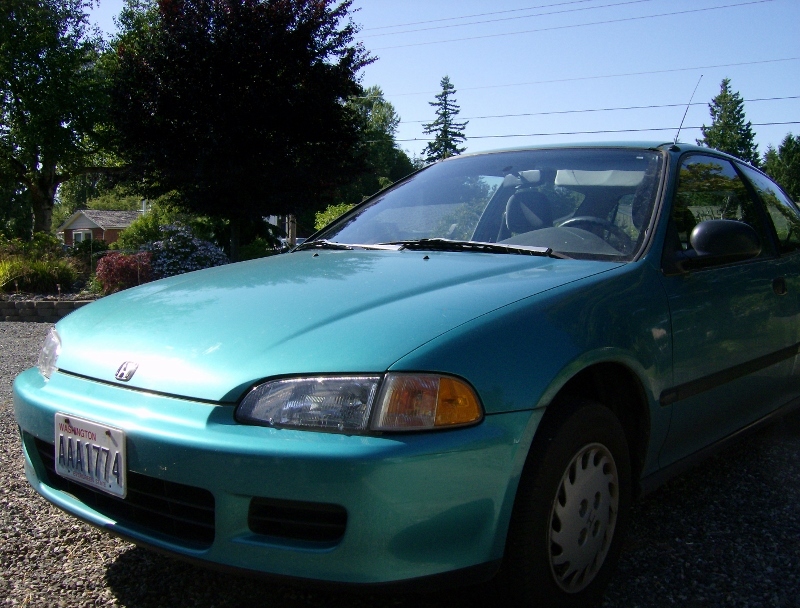 We now share a 1993 Honda Civic hatchback – the only vehicle I’ve ever purchased new from a dealer. It gets great gas mileage, and by holding on to it I’m not participating in further environmental destruction or the embodied energy costs of new car production. It’s been challenging sometimes to coordinate our schedules, but by owning only one car it forces reduced vehicle trips (Permaculture Principle #4: Apply Self-Regulation and Accept Feedback). I carpool to work once a week with a neighbor, and Angela consolidated trips to maximize her car use on that day. 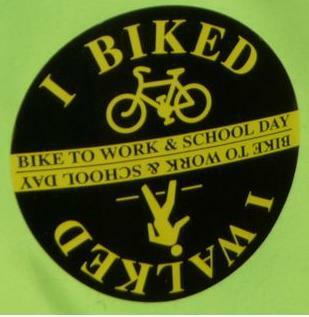 Use of bicycles and other modes of alternative transportation has also increased, though not yet to the extent we had hoped – there’s always room for continuous improvement. I had also hoped to do more carpooling, but have found co-workers reluctant to relenquish their auto-autonomy. Ozzie Zehner is right – let’s not be seduced by high tech options, but instead let’s find ways to reduce consumption of resources and their impacts. Smog reduction, bicycle infrastructure, taxes on energy use, and forward thinking land use changes would be a great start. His entire article is well worth reading. Check it out and read with an open mind. After this work was done we sat together under the willow tree and had the lunch I’d prepared. (forgot to take a photo). Thanks Brian, Laura, Keith and Jerry! *Further shaping (smoothing and rounding) the edges of the ditches and berms. *Planting more perennials on the berms. (I’m just beginning to learn how to use succession plantings to enrich the soil over time). *Planting grass seed on the shallow sloping sides of the ditches. This grass will later be cut with the scythe and used as biomass to add to the garden beds which are still too much clay. *Shaping the spill ways and adding rock to further slow the water when it spills over. *Creating raised beds between the swales for growing annuals. Since the soil is so heavy in clay, this will take a couple years of using cover crops, adding sand and biomass, and allowing soil microbes to increase in population and do their “magic”. *Setting up worm “nurseries” on the beds between the swales to improve soil. *Watching the swales in the rainy season to see how the water collects and moves through them. That will be the final test as to how they are working and will give us feedback on where we need to fine tune (shape the swales). *The super dense clay that we removed from the sink holes….what to do with it? We could export it off the property. But I like the idea of finding a way to use it. Jerry (and Brian) had the idea of making a U-shaped corral with layers of clay, straw and chicken manure, and keeping a compost pile in the corral. Then as the compost decomposes, we’ll scrape a little of the clay mixture into into and incorporate that into the garden beds. We might also use some of the clay to build up sections of the swale ditches and spill ways if we need to raise them up a bit. I’m excited to see how the swales work and to know that we can change them in subtle ways as the needs arise.